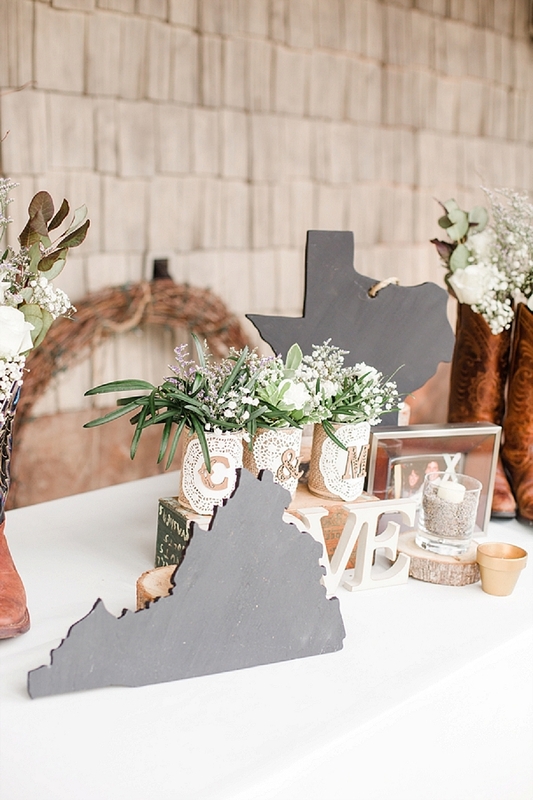 Clark and Moriah grew up in the same small town and graduated from the same high school, but didn't find love with one another until they both moved to Texas. 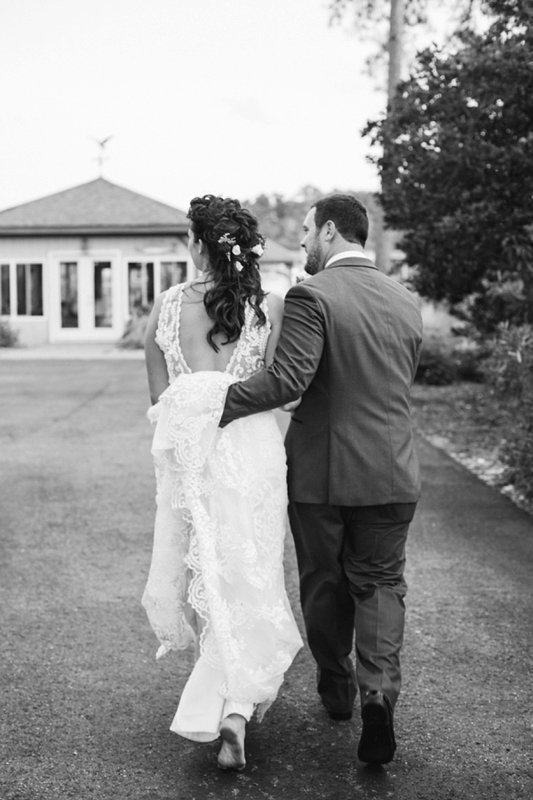 Fate is what brought them back to one another, but love and strength is what brought them to their wedding day. 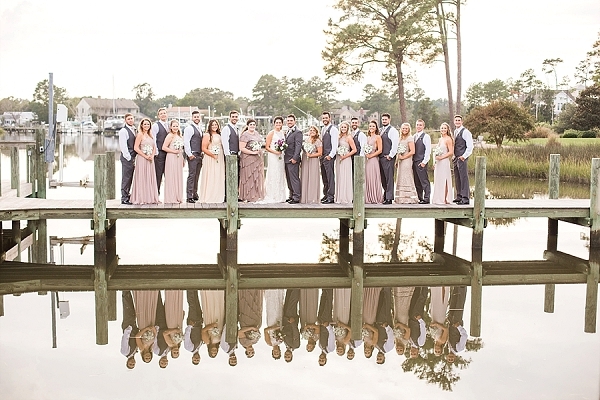 Their wedding was held in Moriah's Poquoson backyard, where so many memories have been made time and time before. 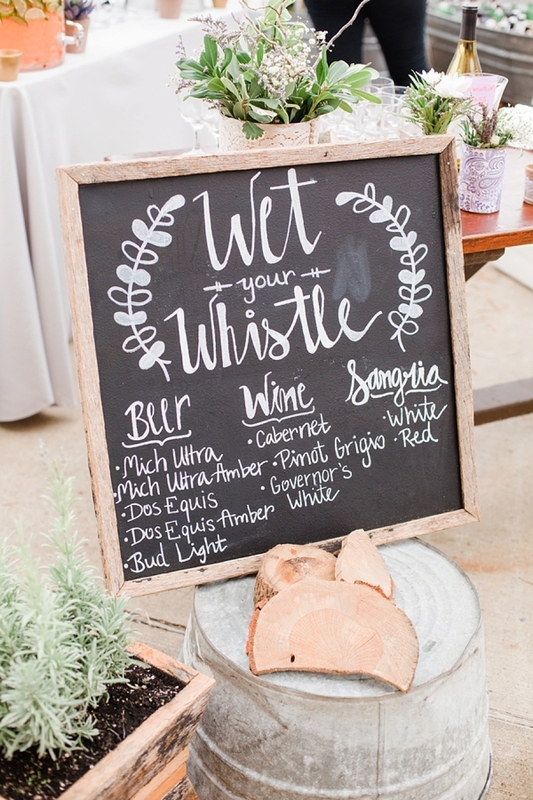 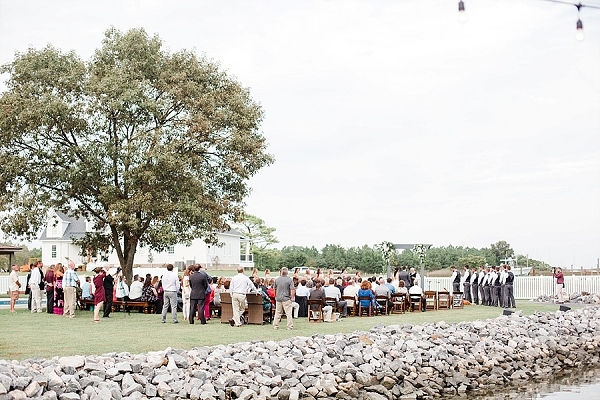 Between the waterfront ceremony and reception under the stars, Corrin Jasinski Photography captured every rustic detail and moment. 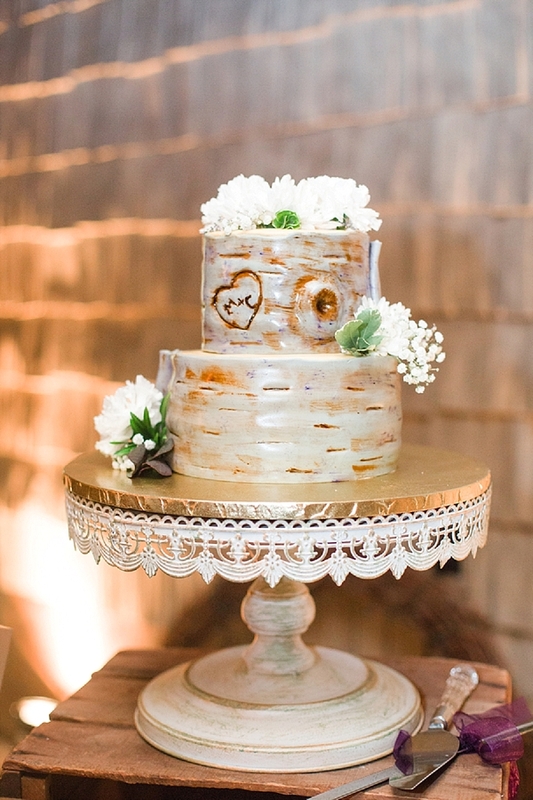 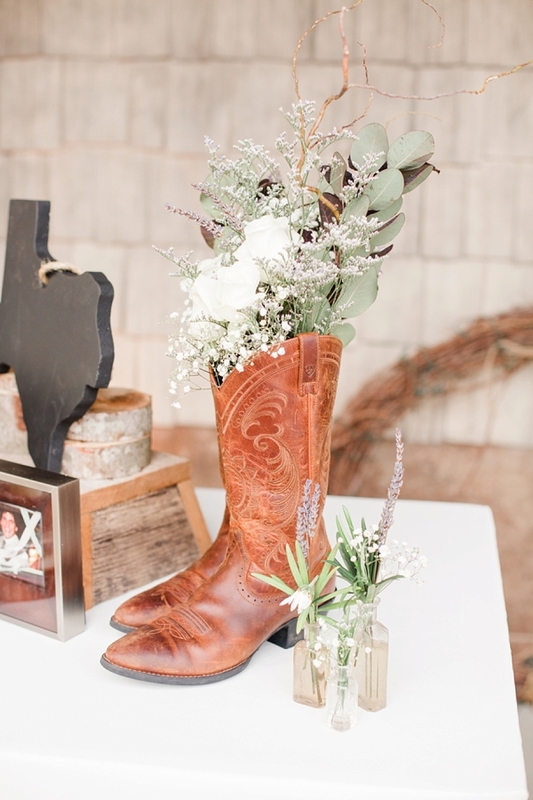 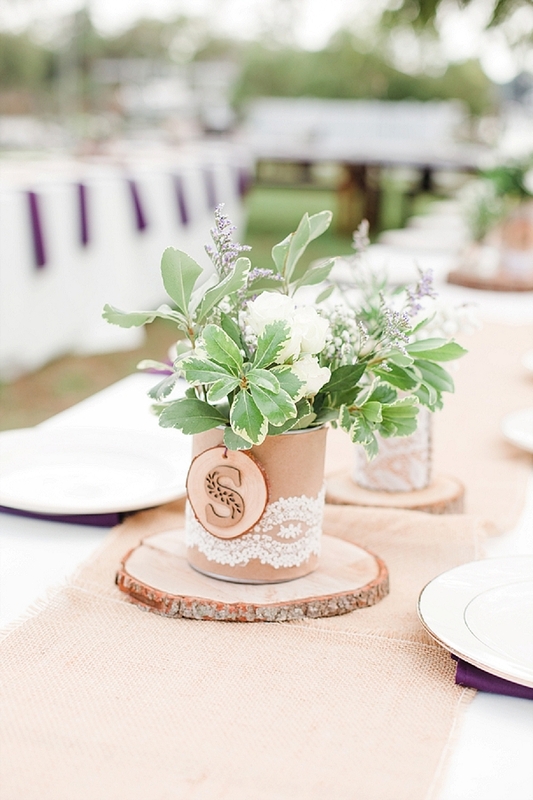 With a country chic theme in mind, the couple incorporated beautiful lace overlays and a natural wood finish in everything from place settings to their tree trunk-textured wedding cake. 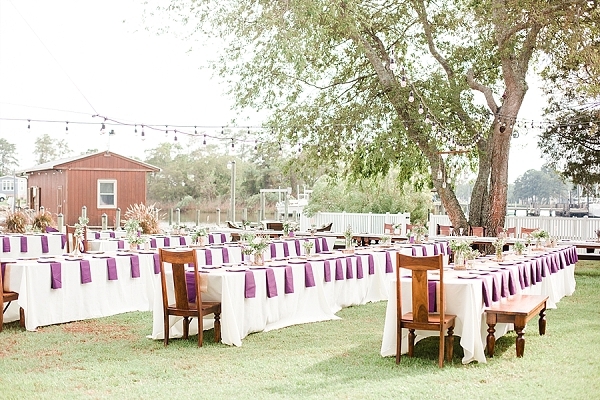 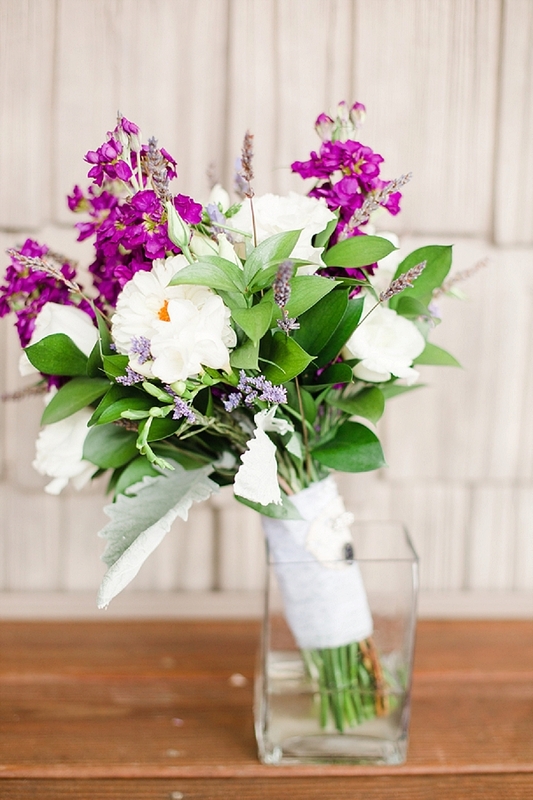 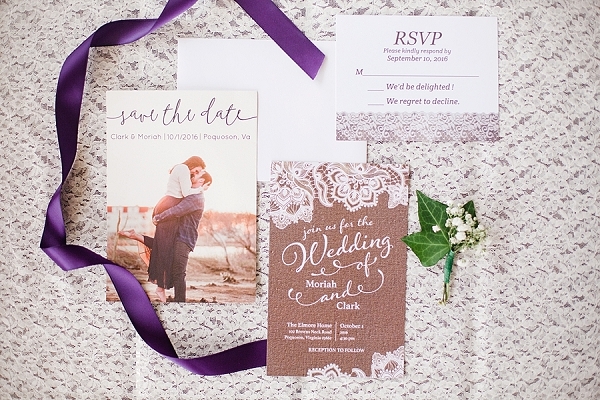 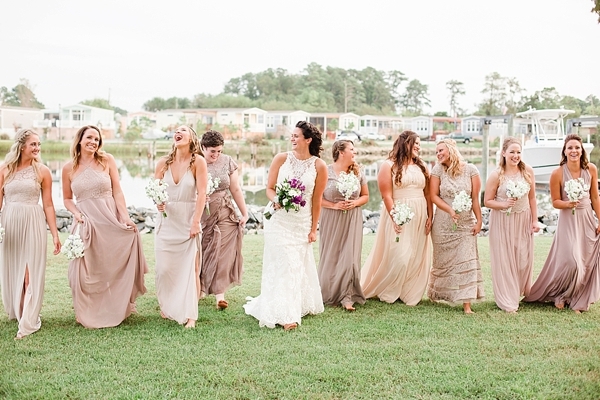 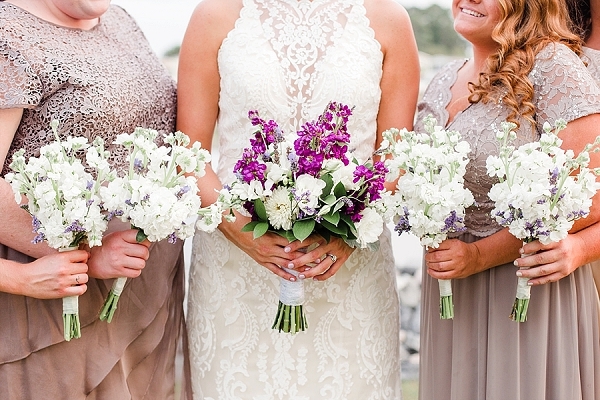 Mismatched tan and neutral-colored bridesmaid dresses, pops of purple linens and flowers, and twinkling bistro lights all made it feel like a true family celebration. 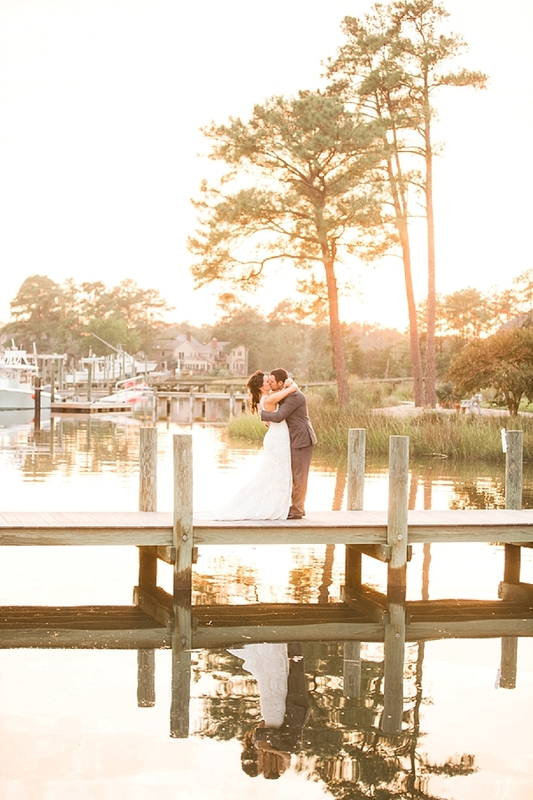 As Clark and Moriah exchanged vows, they also honored the bride's parents -- these two lovebirds chose to get married on her parents' wedding anniversary date!